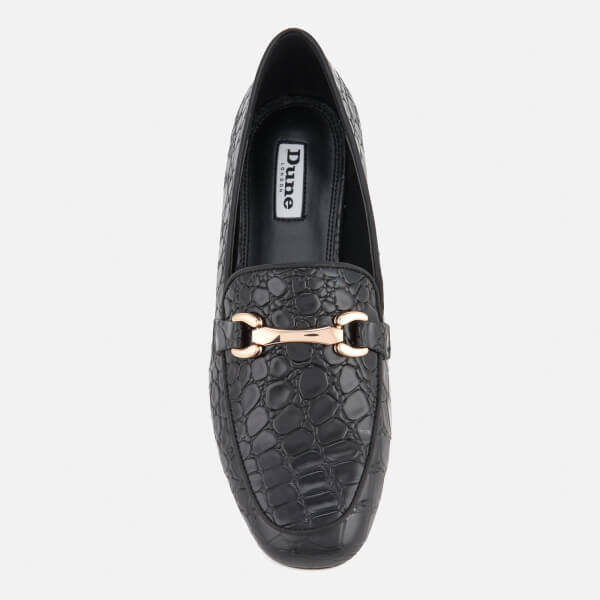 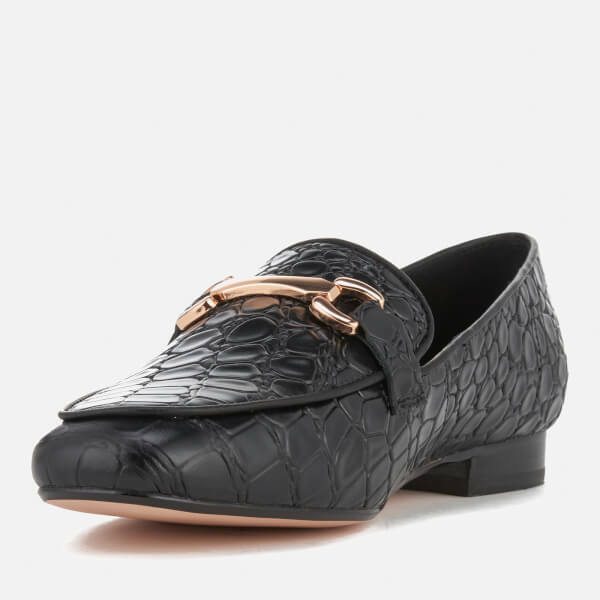 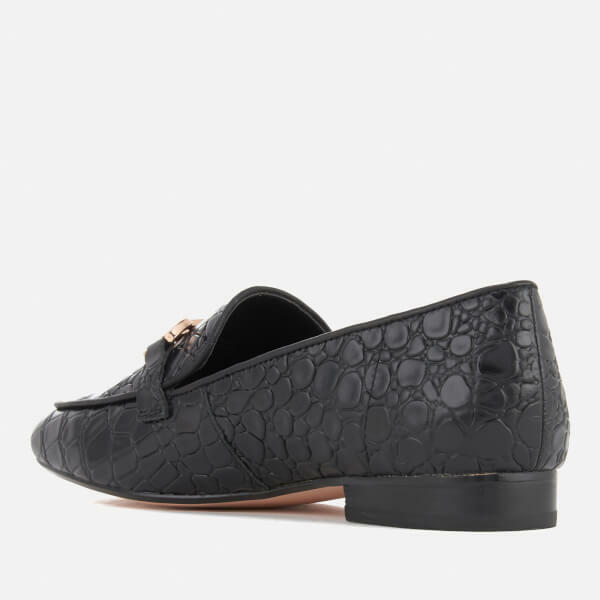 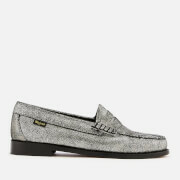 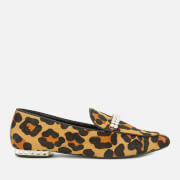 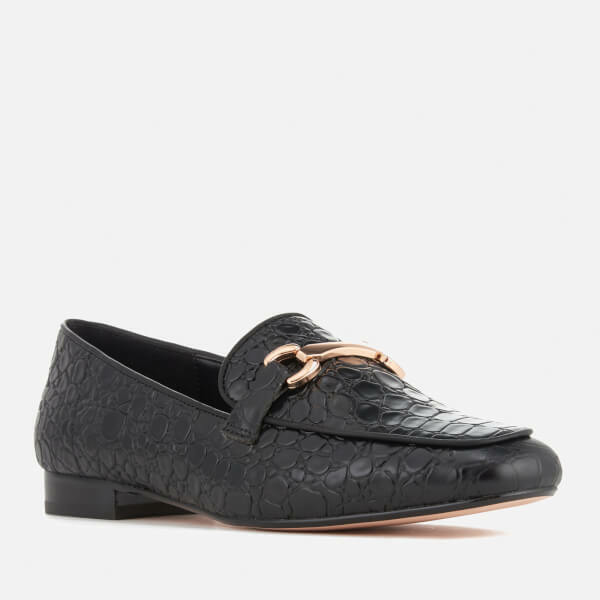 Women's black leather croc embossed loafers from Dune. 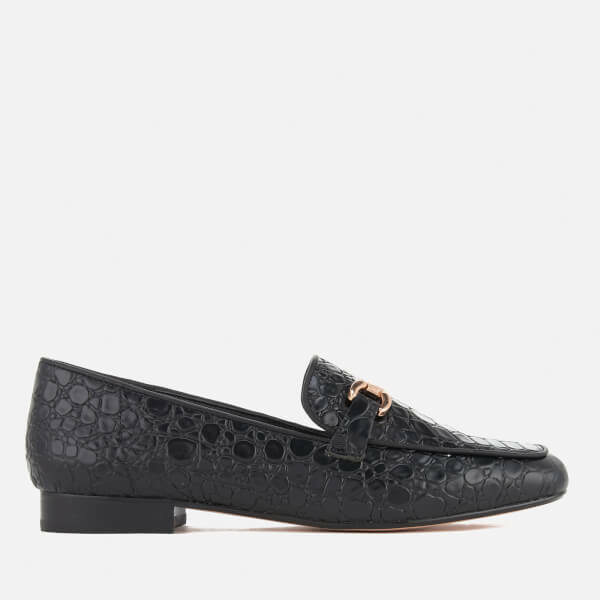 Crafted from glossy croc embossed leather with an almond toe, the ‘Lolla’ slip-on loafers are detailed with a classic rose-gold tone link across the vamp. 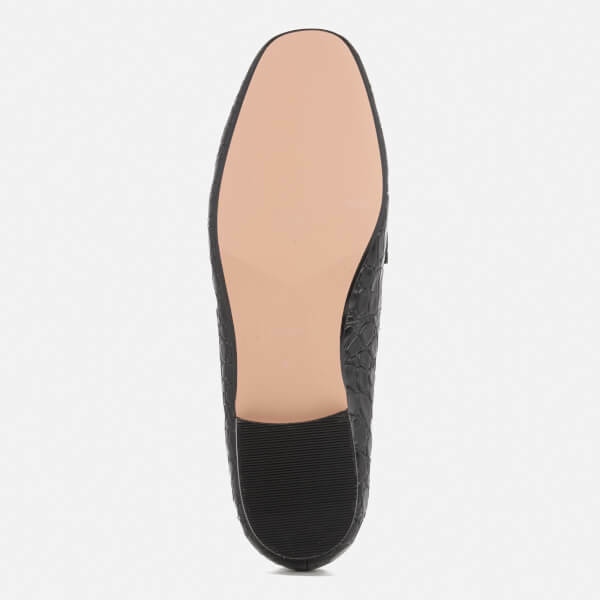 Set on a tonal sole with a small heel, the brogues are finished with a bound edges and a padded footbed for comfort.